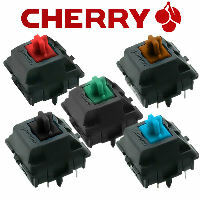 Switches selection list for your electronic design. 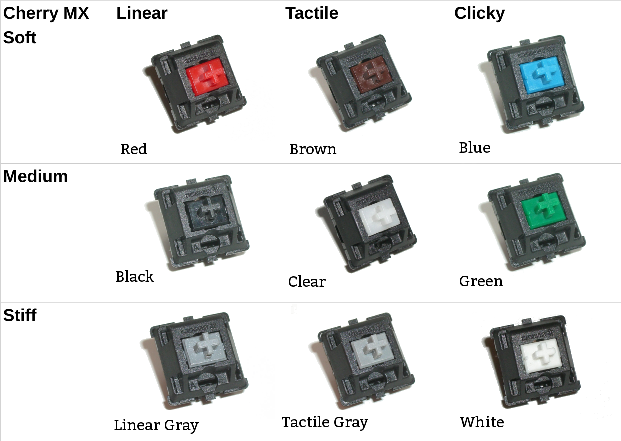 The list contains simple images and the commonly used names for the switches. This will help you as an electronic designer to source for the switch that they are looking for. Scroll down this page further to choose the switch product that you are looking for. Get the exact Switch that you need? A switch is a simple device that can make an electrical connection. It is like short-ing two pieces of wire together. There are many switch configuration to choose from depending on your application. 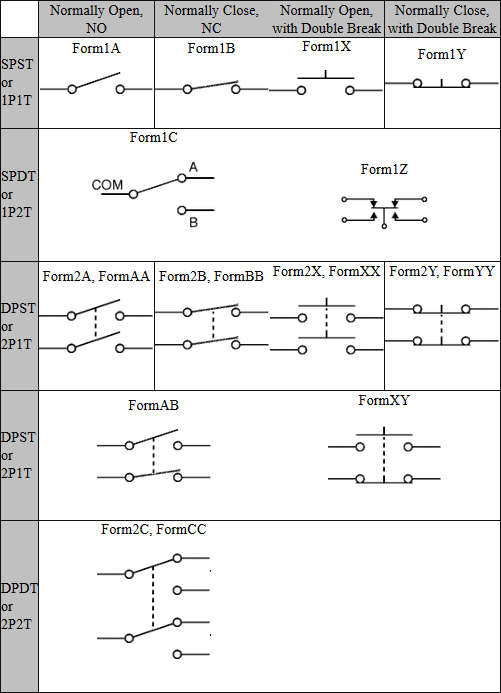 To get the precise switch characteristic and switching configuration, it is important to study the technical jargon commonly used to describe a switch. Knowing these can help you pick the right switch for your project. 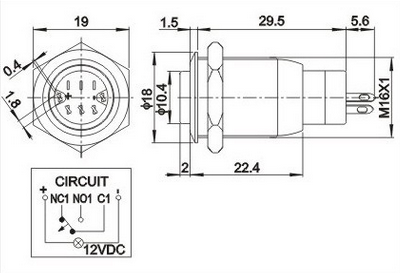 SPST or 1P1T means single pole single throw switch. SPDT or 1P2T means single pole dual throw switch. ON-OFF * This is a ST switch. Switch to one side will make the connection. Switching to the other side is an open connection. (ON)-OFF * This is a ST switch. Switching the switch to ON will make the connection. Release it, the switch will automatically spring back to the off position. This is also known as a momentary switch. ON-(OFF) ST switch similar to a “(ON)-OFF” except that the default is at the “ON” position. Momentary OFF. ON-ON This is a DT switch. ON-(ON) This is a DT switch. Spring return default position to the “ON” position. Momentary on the “(ON)” position. ON-OFF-ON * This is a 3-throw switch. Switching to either side will connect the respective switch. The switch will be “OFF” if it is switched to the middle. ON-OFF-(ON) This is a 3-throw switch similar to “ON-OFF-ON”. One of the “ON” side is momentary. 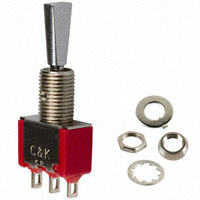 (ON)-OFF-(ON) * This is a 3-throw switch similar to “ON-OFF-ON”. Both the “ON” side is momentary. When release, the switch is always in the middle OFF position. 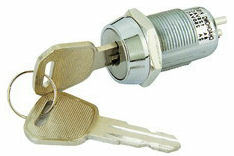 * means that this type of switching characteristic is commonly available in the market. “OFF” means that there is no connection mate between throw. non-Shorting (typically) – contact is break first before making contact with the next contact. Shorting – contact is short with the next contact, before breaking with the previous contact. Snaptron, custom dome switch plate piece.